Upgrading or Installing Lighting in Salem, Massachusetts? Known as the contractor to call for lighting in Salem, Massachusetts, Wetmore Electric Inc has been servicing the local area since 1999. Our installers have worked in countless homes and businesses across the region, providing lighting design and installation both indoors and out. Our experienced electricians are trained in local building codes. Working in Salem for years, Wetmore Electric Inc technicians have completed outdoor lighting projects, as well as indoor lighting design and installation. Our staff must maintain up to date skills and Wetmore Electric Inc provides fully licensed services for lighting projects of any size and serve both residential and commercial customers. Wetmore Electric Inc deals with the leading lighting manufacturers, offering Salem customers the best and latest technology, fixtures and controls. Combine quality materials with expert installation and your Salem lighting project will be well taken care of by Wetmore Electric Inc’s professional staff. 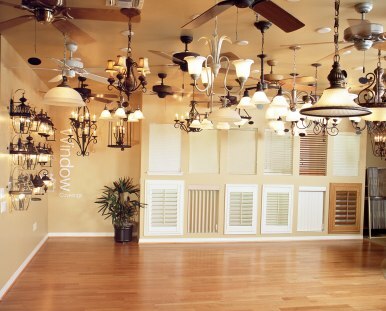 From modern ceiling fans and light fixtures to the latest track lighting and recessed lights, Wetmore Electric Inc offers high quality materials in both classic and modern styles. Lighting design and installation projects move forward efficiently with Wetmore Electric Inc at the helm. Salem residents can rely on prompt service from the estimate stage, straight through to the installation and final inspection. Wetmore Electric Inc electricians aim to create trust with every Salem customer, keeping their word and doing a careful job every time. Customers that are planning to install lighting in your Salem, Massachusetts home, office, or facility, you can trust the experience and reliability of Wetmore Electric Inc. For high quality materials and professional technicians, call Wetmore Electric Inc at (978) 595-1465 to arrange for your free quote. 5★★★★★ - "Project: Installed electrical switches, outlets, and fixtures. Came the same day, work was done quickly and took away old fixtures. Would recommend." 5★★★★★ - "Michael and his team were absolute professionals. My request for an estimate was returned nearly instantly and they were able to look at my property the same day. The price was very reasonable (actually quite less than expected). The team showed up on time, worked very efficiently and took about half the time to complete the job. The quality is spot on. I can't say enough good things about doing business with this company especially with the general poor service provided by their competitors in this area." 5★★★★★ - "Arrived on time. Performed work quickly. Happy with the results." 5★★★★★ - "Amazing experience! My Bluetooth lighted mirror looks amazing." 5★★★★★ - "On time, friendly, reasonable and would hire again"
5★★★★★ - "So impressed with Mike. He communicates, he schedules you as promptly as he can, his prices are reasonable, and he's very personable. I have used his services again since my initial experience with him and I would not hesitate to recommend him to everyone I know! Keep up the good work." 5★★★★★ - "Mike was amazing. Looking forward to hiring him again if we need more work. Showed up on time and did perfect work. Mike answered all of our questions and we had quite a few. Do yourself a favor and hire Mike(Wetmore Electric, Inc.) you will not be disappointed." 5★★★★★ - "Excellent experience. Prompt response and communication, work done great. Will use again!" 5★★★★★ - "Michael was absolutely awesome!! Very professional and prompt. There were some unexpected surprises with the job and he handled it with professionalism. We felt the price for his services was very fair. I would definitely recommend him to anyone!!!" 5★★★★★ - "Mike was nice to work with, very professional and on time. I will definitely recommend him to friends.."
5★★★★★ - "Prompt,professional and good value!" The gentlemen were on time, polite, and capable. They got the job done in 25 minutes and sought my input where appropriate. I am very satisfied." Michael was knowledgeable and professional. I would definitely call him for any electrical work to be done in the future. Highly recommended!" 5★★★★★ - "Michael was professional on time and quick to respond. He did a fabulous job and is very knowledgeable. I have used him many times in my home for both large and small jobs and he has always done quality work. Would highly recommend." 5★★★★★ - "What a Wonderful experience, Michael was extremely professional and was always on time and on top of things. I highly recommend him for any and all your electrical needs!" 5★★★★★ - "Michael arrived on time, he worked with confidence and patience. I would use him again"
5★★★★★ - "Wonderful experience. Added several plugs and a smoke detectors. Very professional and clean. I feel like I finally found a trades person that I trust!"